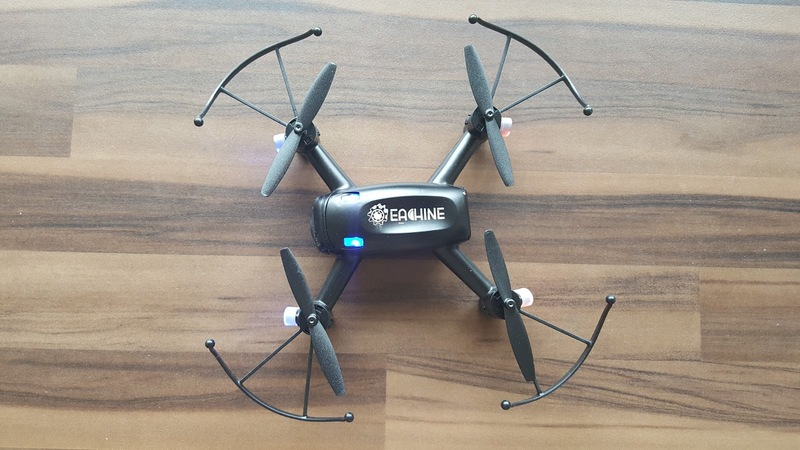 In short, Eachine E40G is one of the cheapest FPV you can get to take your first steps on flying a full fledged FPV system, familiarise with the controls and functions fully before moving on to bigger quadcopters like DJI Phantom or similar. 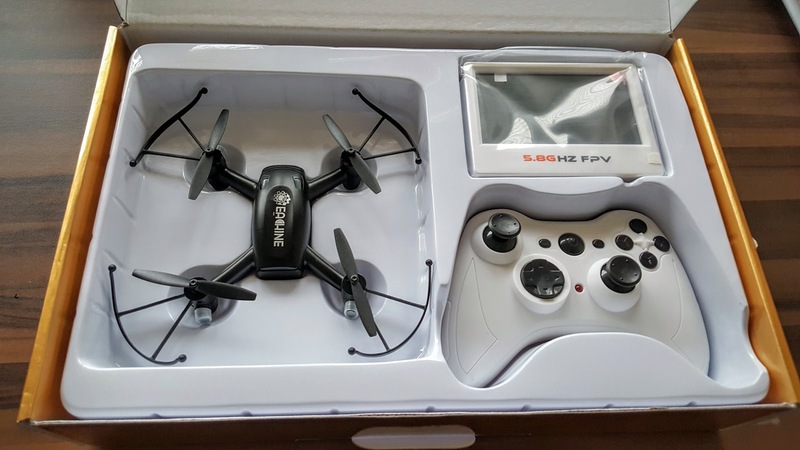 This is easy to fly too even for a first time user. If this is your first time flying, it is bound to have some crashes - don’t worry. Most of the time damages occurs to the blades. In the pack you get 4 spare blades and if you need more you can get it from amazon for very cheap prices. You may not need it, as the blades / propellers has prop guards (crash guards) and it protects the blades fairly well. 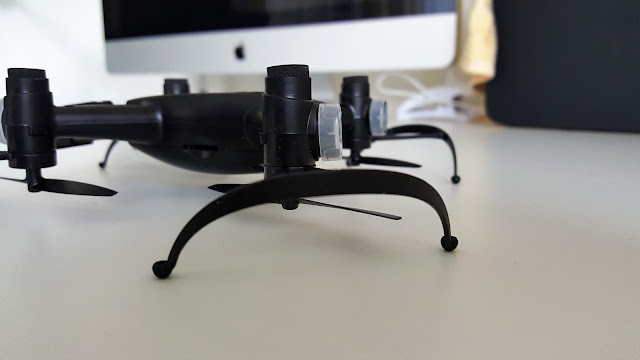 The crash guard also able to protect if the drone lands upside down. Other than tricky situations, the drone has all around protection. 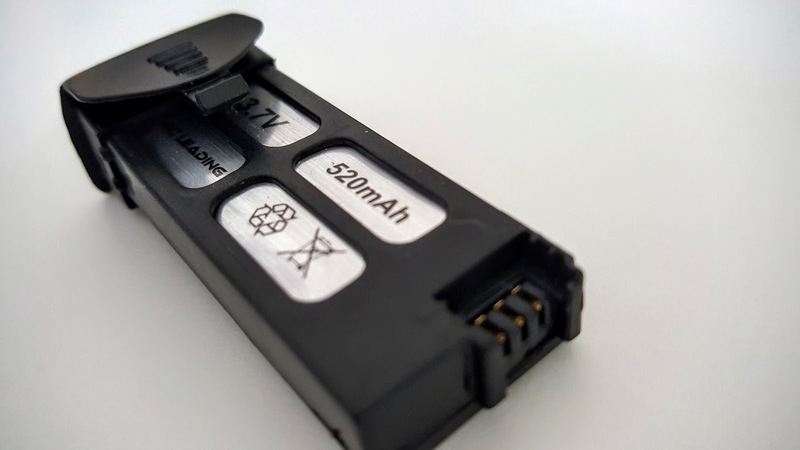 Batteries and charging is not difficult - the controller takes 4x AAA batteries, that you need to supply. E40G comes with built in replaceable battery, which can be charged without taking out or separately with the supplied USB adapter. 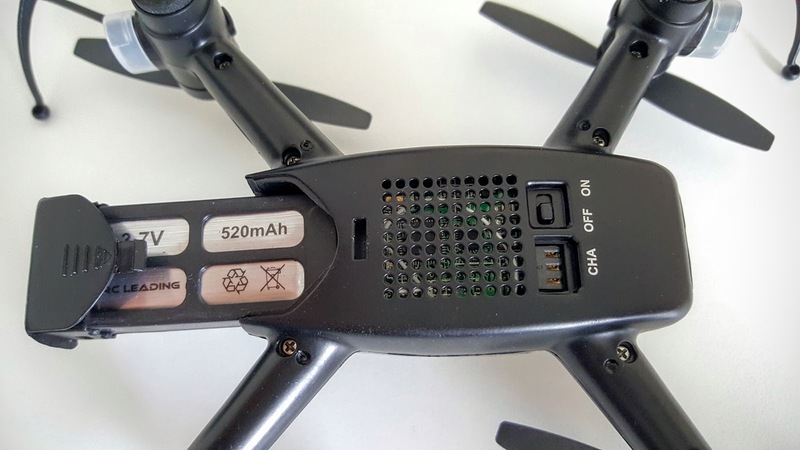 Batteries are cheaper to buy (£4.20 i guess), so you can charge as many you have, so you will not run out of battery when you are out in the field. 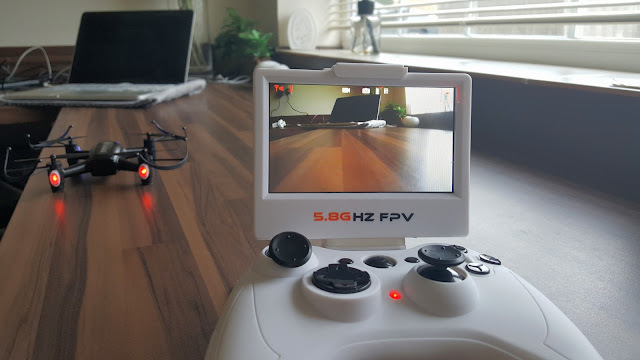 And for the FPV monitor has built in battery, USB charging cable is supplied. So, the biggest advantage is none of these need direct AC supply to charge, so a good battery pack / power pack will solve all the charging needs. In the field or outdoors - E40G done well for me irrespective of light windy conditions. 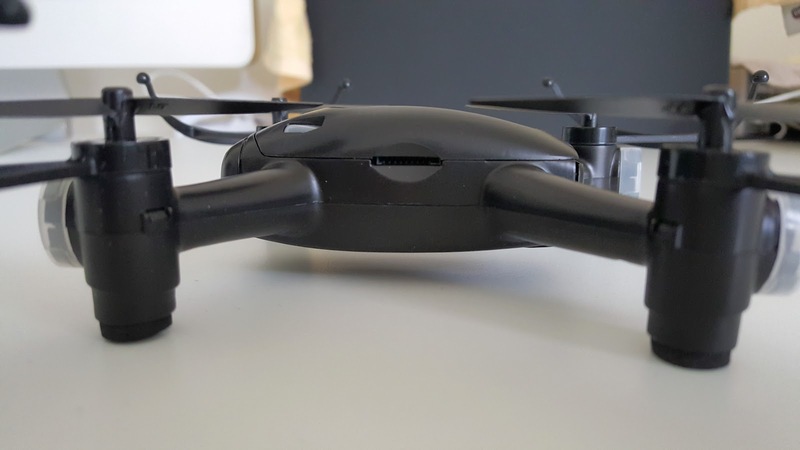 The drone itself is light weight, but the propellers are strong enough to withstand the wind. 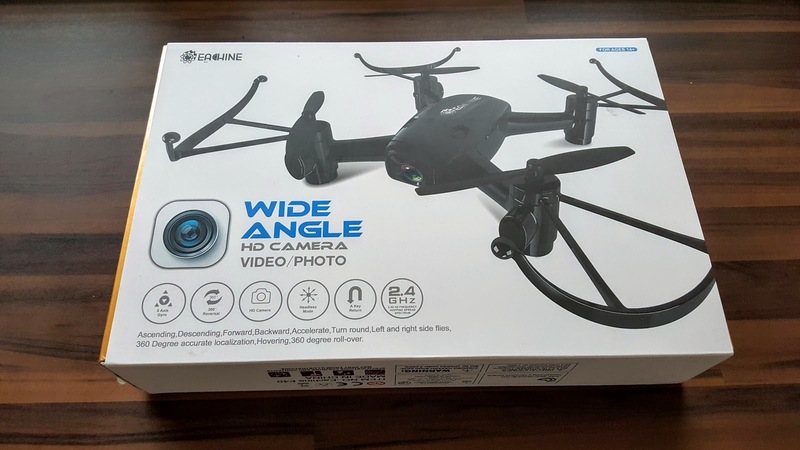 In flight mode, it’s fairly stable at all times but please do note that there is no altitude hold feature on this. 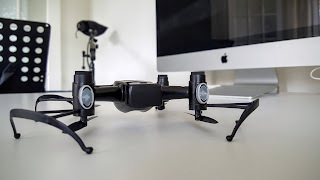 This is important only for video footage, but surely improves your flying skills. 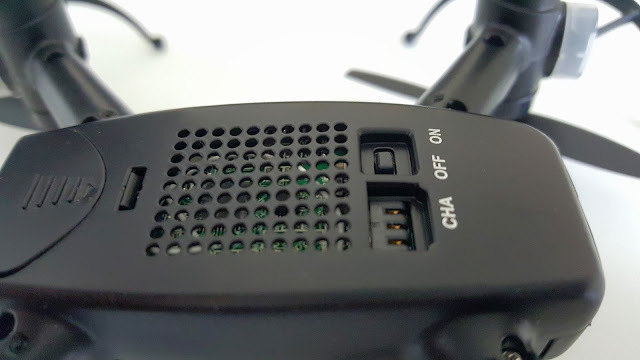 Controlling is extremely easy, as you can set the controller response to quick to slow in 3 different states and also you can set the drone in headless mode. Flying time will be around 5-8 minutes depends on how you fly. On a windy day or if you do a lot of manoeuvre or tricks, the flying time will be reduced considerably. This is in addition to the camera recording. b. Great landing guards, prop guards and one touch return to base. c. Inclusion of 5.8GHz - less interference, stability and more bandwidth. d. Order some extra blades and additional batteries when available for cheaper price. 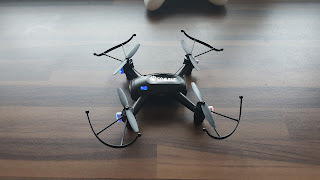 Overall one of the best and cheapest beginner FPV Quadcopter, most of the parts are user replaceable and available for cheap in Amazon and other stores. Please do check out the pictures and video for a closer look and see what you get and how it looks in real life.